— Current routes in area “heavily used by school pupils”. 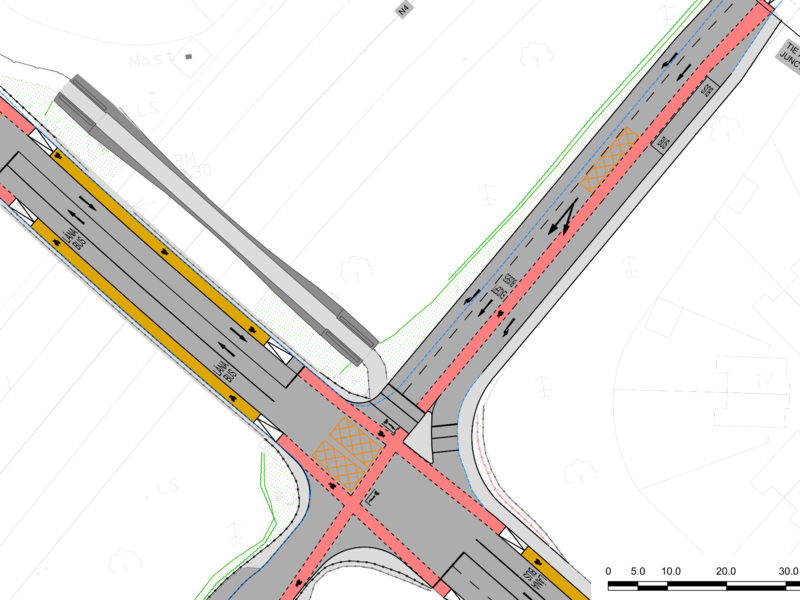 South Dublin County Council is planning to both mix cycling and walking at junctions and also leave people on bicycles exposed at other junctions along one 1.3km route. 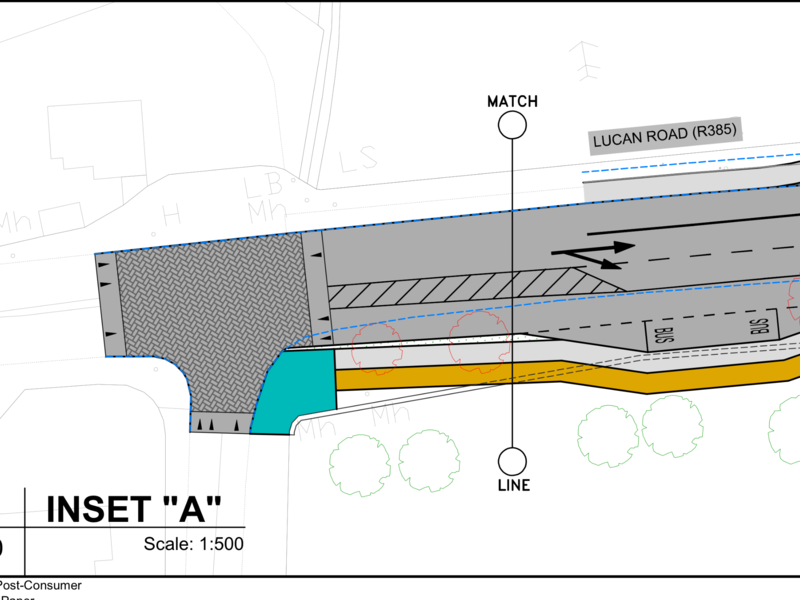 The project runs from the Old Lucan Road near Woodie’s DIY to the Willsbrook Road. The project does not conform to the guidance to remove right hand slip turns or staggered crossings, as outlined in both the National Cycle Manual and the Manual for Urban Roads and Streets. The ramp from the N4 westbound to the Outer Ring Road — which is part of the westbound N4 cycling route — includes a cycle lane between two traffic lanes which does not conform to the limited National Cycle Manual guidelines on such a cycle lane placement. 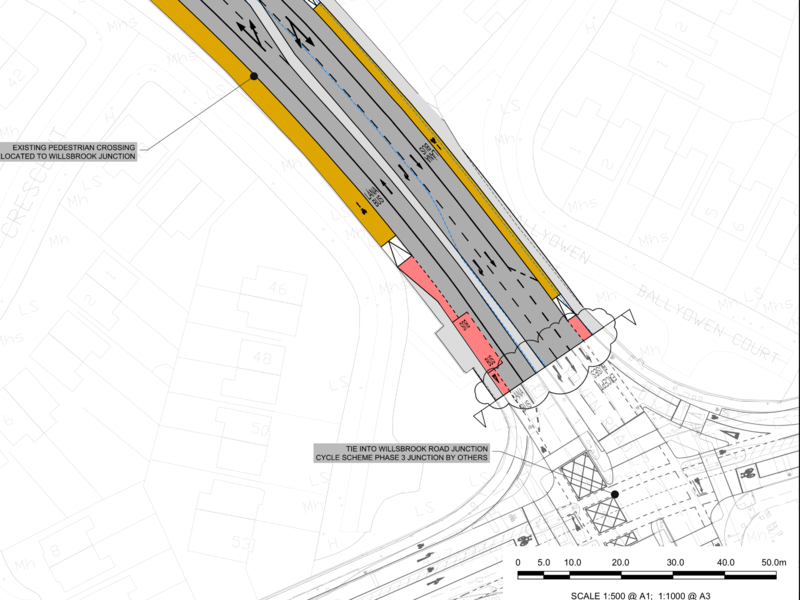 The council said that it is removing right turn traffic lane from Outer Ring Road bridge over the N4, which currently gives access to the N4 westbound, “in order to provide a segregated cycle route in both directions across the bridge over the N4. 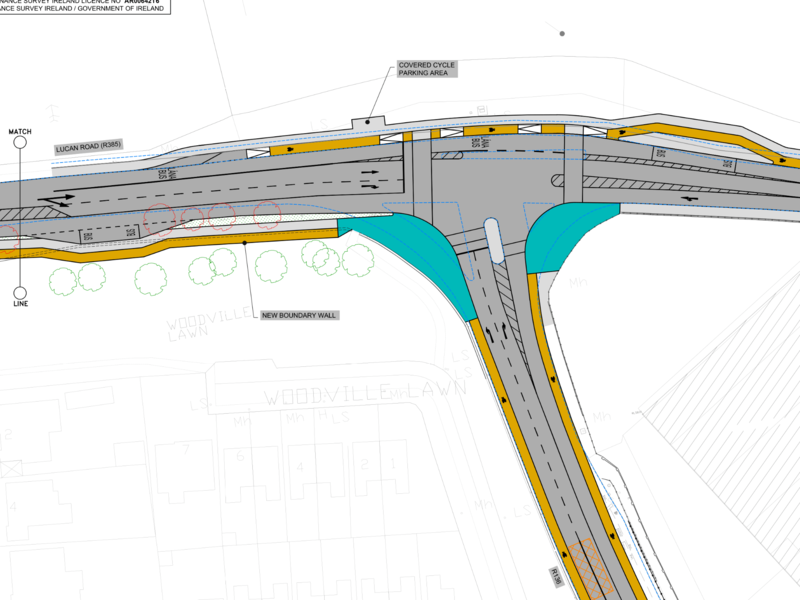 This will allow for the separation of buses and cyclists, thereby increasing safety for cyclists.” But, elsewhere in the project, cycling is mixed with buses at bus stops on the Outer Ring Road, close to the Willsbrook Road junction. 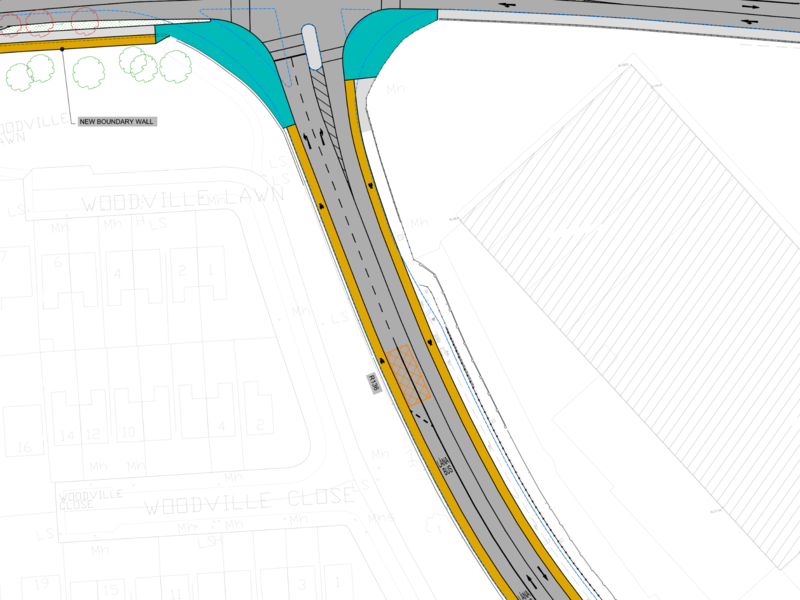 The drawings for the project (see below) also show no provision for direct cycling access from the cycle route to the housing estates. 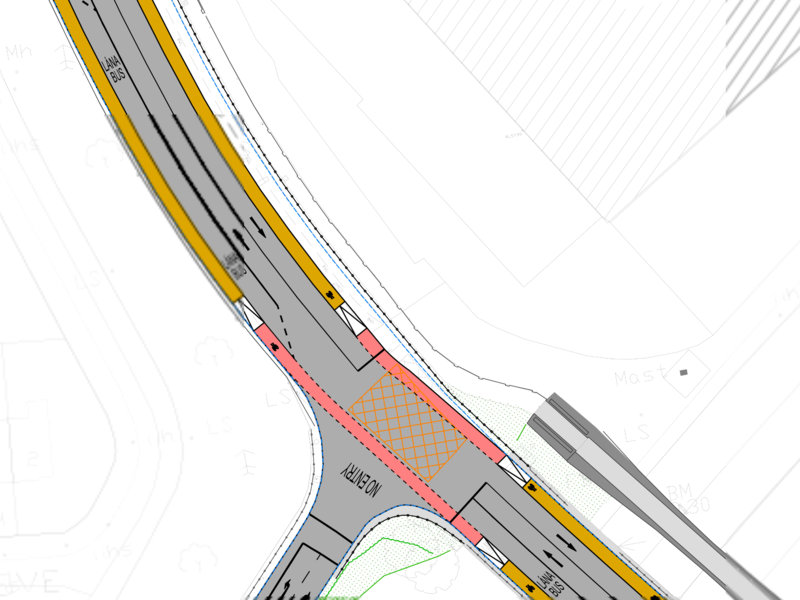 In one case, an advance stop box which attempted to provide access to an estate is removed on a right turn across Outer Ring Road and there is no alternative shown on the drawings. 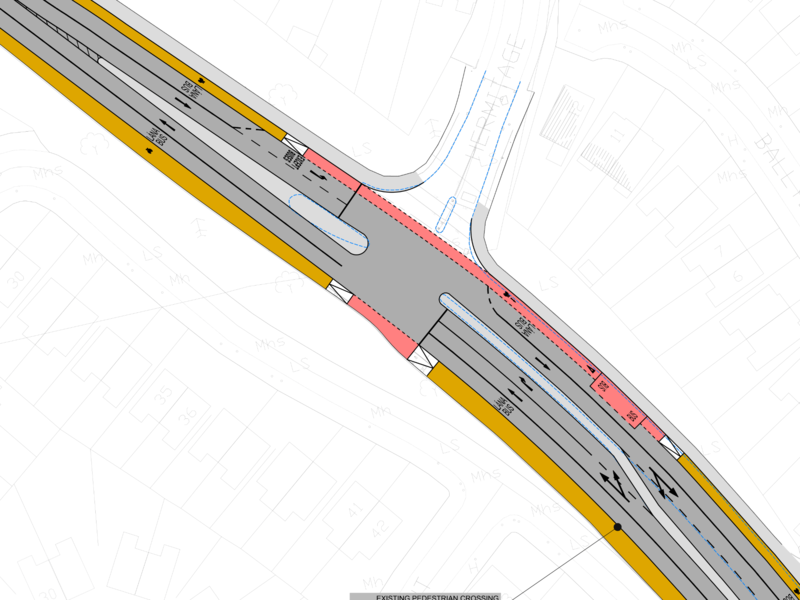 The project is one of the first cycling projects this website is aware of which uses Section 38 of the Road Traffc Act, 1994, in which the council management has final say, rather than the Part 8 process in which councillors need to approve the project. We reported on the reasoning for this change in 2014. Hmmm – that’s got features that makes me not want to use it. 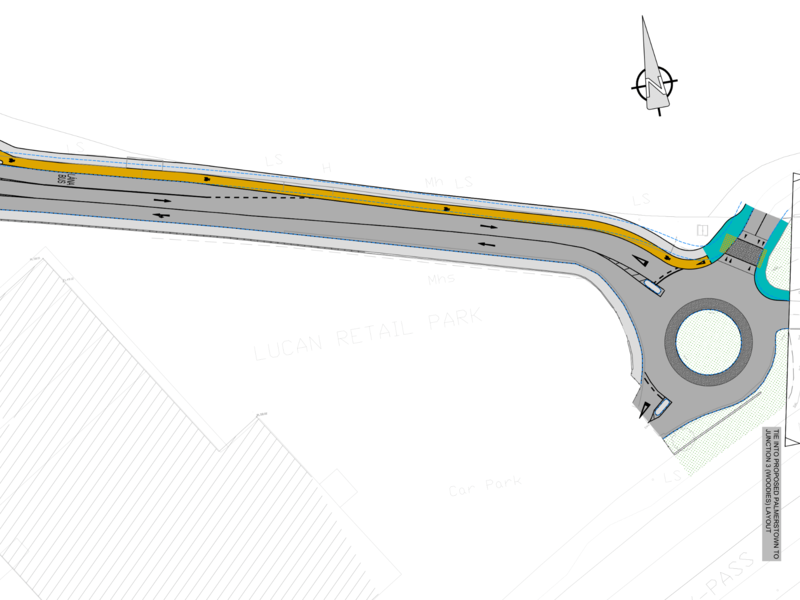 In the first drawing, if I’m heading leftwards (that’s towards Lucan Village), the cycle track just disappears on a shared area right beside a junction – there’s no safe way to merge with the existing road traffic (this is nearly always my number one complaint with such schemes – they disappear before junctions, rather than after them. There’s no convenient way to turn right from the R835 on to the ORR either. But I’m not really suprised – the previous cycle facility they’ve built here (just done last year) also has a significant issue. 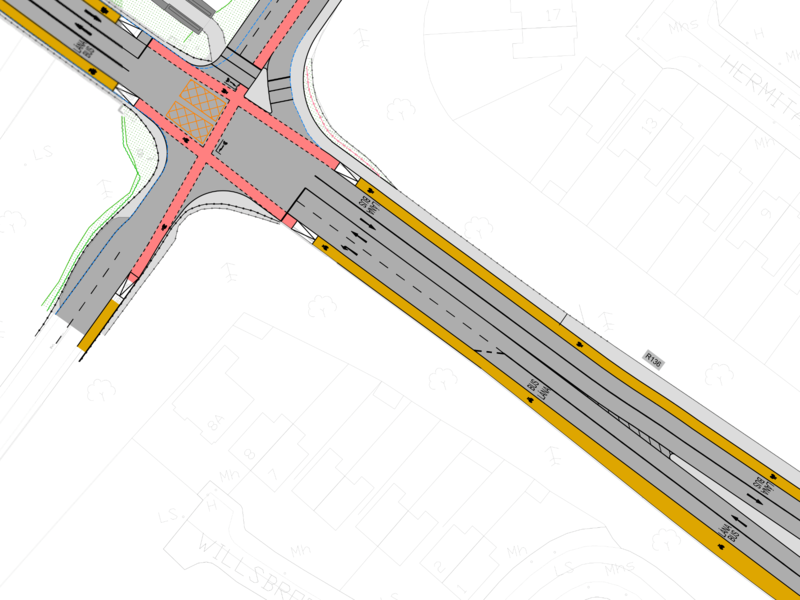 they’ve put a “copenhagen right” (it’s visible in the last drawing) when turning right from the ORR on to Willsbrook Road. but when you’ve stopped in the space provided, you can’t see the traffic lights – it’s about 4 feet behind you! They’ve no lights on the other side of the junction (like they have for the other 3 roads on the junction, and they didn’t put a cycling specific light anywhere either.